Networking at conferences is an essential part of an author’s career. It allows you to learn from other authors, build marketing campaigns together, and strategize co-author partnerships. I personally love going to conferences; it gives me the opportunity to meet face-to-face with inspiring people and build meaningful partnerships. However, time is the most expensive resource we all have: whether you are a writer, an authorpreneur, or a business owner, you need to plan your time carefully. In the beginning of 2019, I attended three conferences: San Francisco Writers Conference, Smarter Artist Summit in Austin, and the London Book Fair. 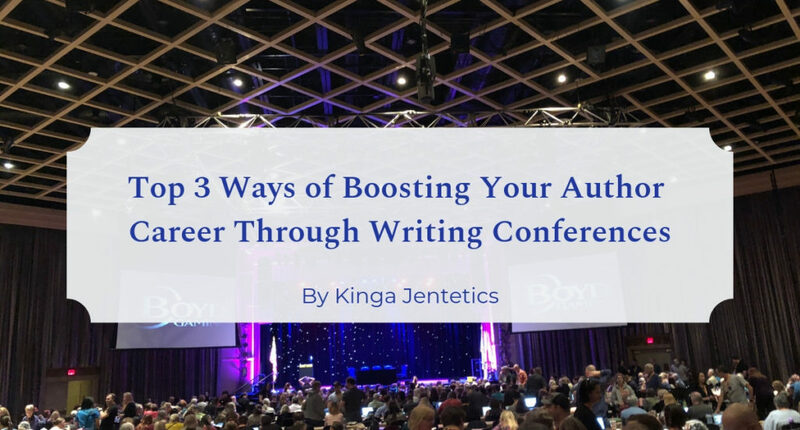 Based on my experiences, I’ll give you an overview so you can plan your conference schedule going forward and give your author career the boost it needs. (It’s important to note that any of these conferences will give you value, whether you’re a new indie author or a publishing pro). Royalty Share vs. Subscription Pricing for Self-Published Authors – Which Option is Best? PublishDrive offers two pricing options: Royalty Share and Subscription Pricing. 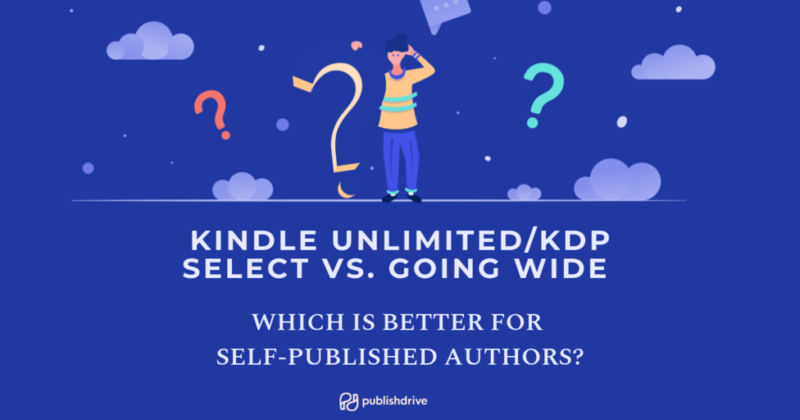 These flexible options allow authors at every stage of their self-publishing career to maximize their royalties. But how will you decide which one is best for you? Here, we’ll break down the differences to help you choose. 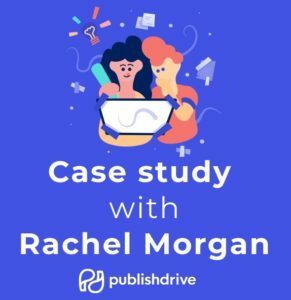 Our free ebook conversion has been a tremendous benefit for PublishDrive users, but our team wanted to create a tool that all indie authors could use – not just those signed up for PublishDrive. 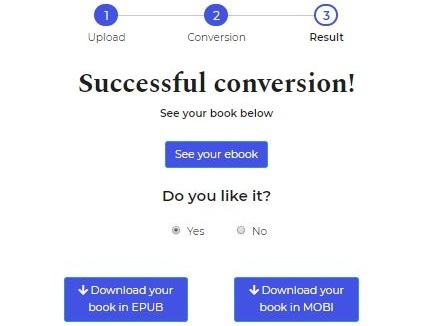 We’re super excited to announce that we’ve developed a FREE public ebook converter for commercial use – and there is no registration required. With our free tool, it’s never been easier to start publishing. All that’s needed to begin is a Microsoft Word DOCX file, and we’ll handle the rest! After uploading your manuscript in DOCX format, you’ll be prompted to answer a few questions. Your responses will help us customize your ebook file. In other words, you’ll get a ready-to-publish ebook file that will look great and function on all reading devices. Unlike other free converters, ours produces ebook files specifically for commercial purposes, which means they’ll provide the highest quality reading experience and be free of formatting errors. And the best part is that this public tool is completely free to use, and you don’t have to be a registered PublishDrive user. After downloading your newly converted EPUB and MOBI files, you’re free to do whatever you want with them. And if you’re not happy with the files, you can start over and convert your manuscript as many times as you need to. Ready to get started? Check out our free DOCX to EPUB/MOBI converter here! You’ve probably heard that conferences are essential to your writing career development, but do you know why? The PublishDrive team attended several conferences this fall where we either gave a talk or simply had the chance to mingle with writers. As the number of author-related conferences grows rapidly year by year, you may be wondering which ones are best for you. In this article, I summarize various types of author-related conferences and my personal takeaways. To sum up, I’ve attended the following conferences: Digital Book World (Nashville), Romance Con (Richmond), National Writers Union Conference (New York), Las Vegas Book Festival (Las Vegas), 20booksto50k (Las Vegas), YALLfest (Charleston), and Miami Book Fair (Miami) – I’ve definitely compiled a list of thoughts! Attend the conference that fits your publishing journey. Learn from other writers and attendees and collaborate with them. The PublishDrive team just wrapped up an incredible three days at the recent 20Booksto50k conference, which was held in Las Vegas from November 6 – 8, 2018. Frankly, we did so much and spoke to so many amazing authors that it’s impossible to fit into a single blog post. But, we wanted to share a recap for those of you who couldn’t make it this year. Here’s what we were up to and learn why attending conferences is crucial for any indie author. What is the 20Booksto50k Conference? 20Booksto50k is a Facebook group that was started by self-published author, Michael Anderle, back in 2015. At the time, he realized he could make a sustainable income of about $50,000 a year by publishing 20 books that sold at least a few copies per day. After his first $12,000 month, he knew that his strategy could help other authors succeed and wanted to share his insight. Since then, the 20Booksto50k Facebook group has amassed a following of over 26,000 members who’ve come together to share tips about self-publishing and make connections. Members include best-selling indie authors and those who are just starting out. PublishDrive signed a contract with retail giant DangDang, often dubbed as ‘the Chinese Amazon’. To celebrate this partnership, here is our analysis of the Chinese book market. We are grateful for the data shared by German Book Office Beijing, information shared with us by our new partner store, and other sources credited below. With almost 1.4 billion people, China is the biggest market in the world. Its power and influence have for a long time been disregarded by Western publishers. However, more and more people discover the Chinese market and the possibilities of publishing in China could bring them. This article is aiming to provide an overview of the Chinese book market, analyze the trends and discover some opportunities that could benefit authors and publishers. As summarised in Foreword Reviews, China’s population is not only the largest of the world but is undergoing major changes. These changes make it even more attractive. Sociological trends, just as the fast-growing urbanization and the strong economy result in a strong and educated middle class. These people are eager for Western titles but also cultivated in Chinese literature. The recent abandonment of the one-child policy is expected to further boom the population. The sociological findings are also supported by numbers, as can be seen in the next paragraph. To sum up, these socioeconomic changes make China one of the most sought-after markets today. Although the Chinese book market is usually quite secretive when it comes to its numbers, valuable fresh data has been provided for last year’s Beijing Book Fair. OpenBooks, the Chinese equivalent of Nielsen BookScan has released some current numbers. They estimate the total volume of the book market to be between 20 and 23 billion USD in 2016. The total turnover is increasing by an average of 0.3% yearly. Online book sales have accounted for 45% of total industry turnover (GBOB, Chinese Book Market Data (2017)). According to data by Chinese Academy of Press and Publication, 58.4% percent of the population regularly reads books. This amounts to around 812 million people altogether. Increasing the percentage of readers is part of the state agenda. The Chinese People’s Government is promoting reading with nationwide campaigns, reaching up to 800 million people at a time. The three most important distributors are DangDang, Amazon China, and JD. All three of them are committed to offering a safe and protected environment not only to their readers but to their publishers. They are using different kinds of DRM technologies and offering books through different channels and on different devices to fight ebook piracy. GDPR for Authors: Are You Compliant? 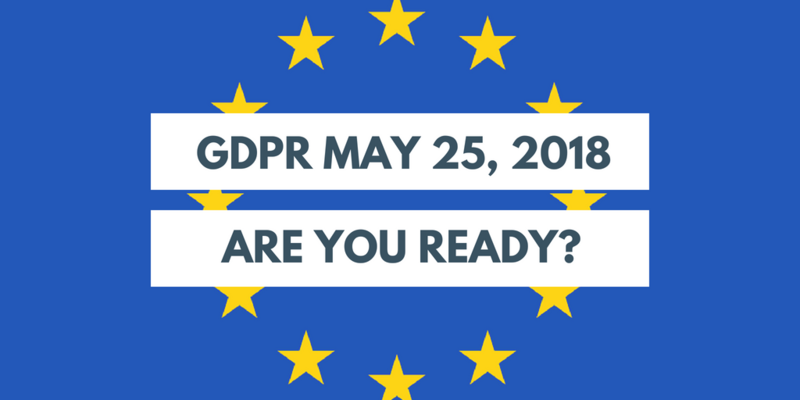 The new European General Data Protection Regulation (GDPR) is coming to effect shortly (May 25), and has definitely created a lot of buzz. GDPR for Authors aims to demystify the new regulations and explain what GDPR means for authors, publishers and bloggers. If you have completely missed the news: it is still not too late to start preparing! Disclaimer: The information in this article is for general guidance on GDPR and is not legal advice. We’ve tried to ensure that all information is accurate, but please contact an adviser or solicitor for more help.